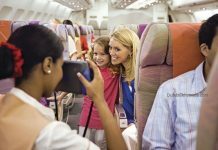 In anticipation of the upcoming ‘Eid in Dubai’ celebration, Dubai Festivals and Retail Establishment (DFRE) an agency of Dubai Tourism, has announced its line-up of unmissable events and fun activities taking place across the city for residents and tourists to enjoy throughout the holiday. 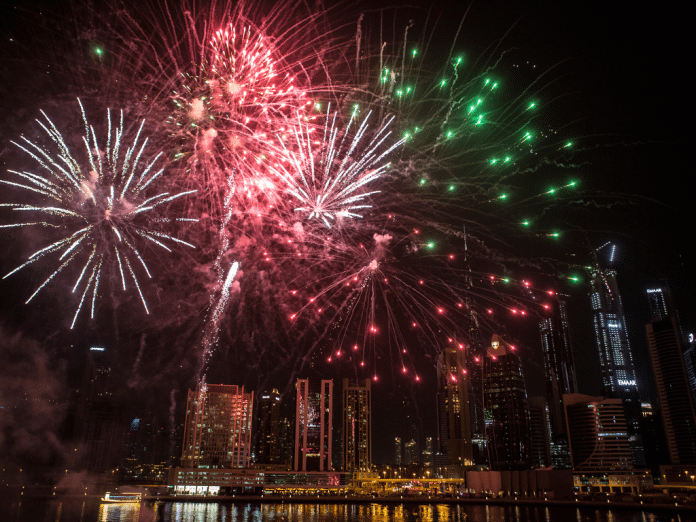 With exciting family entertainment and breath-taking firework displays planned across Dubai, Eid Al Adha is certain to be an unforgettable celebration this year. Tourists and residents can enjoy an exclusive performance from the singer Balqees, which will take place at 7.30pm on Friday 24th August at Dragon Mart 2. 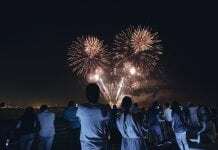 The Beach will be hosting a spectacular three-day firework show daily between 22 August to 24 August at 8.30pm, which promises to be more extravagant than ever. 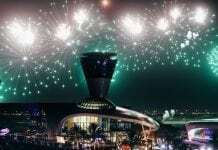 La Mer will also host a mesmerising firework display at 9.30pm throughout the Eid weekend as well as Dubai Festival City Mall which will also put on a spectacular musical firework display at 9.00pm and 10.30pm on 22 and 23 August making it an unforgettable event to be enjoyed with friends and family this Eid. Last but not least Al Seef will host a spectacular firework display that promises to light up the sky over the beautiful Dubai Creek throughout the three days of Eid from 9.00pm. 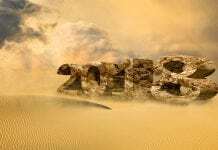 Dubai’s must-see tourist attraction, La Perle will offer a special family package for Eid Al Adha to make it easier for families across Dubai to experience the magnificent stunts and effects that the show has to offer, at an incredible price. 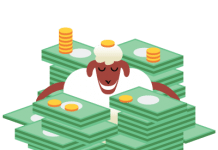 The Eid family package can save groups of 4-10 people at least fifty per cent off on silver and gold tickets until 25 August, making it a money can’t buy offer and an experience not to be missed this Eid. City Centre Deira is bringing all outdoor activity and entertainment inside the mall this Eid Al Adha, with the first of its kind Indoors pop-up event running from the first day of Eid until 30 September. Indoors will include various food stalls, pop-up shops and a special entertainment zone for live music and movie screenings for all ages to enjoy from 10am daily. Little ones will be delighted to meet Pink Fong and Baby Shark at Dubai Festival City Mall on the 24 and 25 August. The popular cartoon characters will perform an interactive medley of the most popular children’s songs at 4pm and 8pm that will keep the kids entertained throughout the Eid Al Adha weekend. Dragon Mart 2 is sure to entertain families during the week of Eid Al Adha with popular characters from Iftah Ya Sim Sim set to wow crowds with a fun-filled interactive show. Running from the 23 August to 3 September, this space-themed show will involve plenty of energetic dance numbers and songs that the kids will love! Ibn Battuta Mall will be celebrating the 60th Anniversary of Space Exploration by Discovery Channel by taking space-obsessed kids and families on an extraordinary journey through the history of space. From the first day of Eid Al Adha until the 9 September, Space Exploration by Discovery Channel will host fun and educational live shows and workshops for tiny astronauts in the making. From 21 August to 24 August, The Dubai Mall will be transforming into a celebratory playground, hosting an array of exciting activities and live entertainment for the whole family to enjoy. Kids will have the chance to receive a special gift when they participate in the various arts and crafts workshops hosted by Sheibitna, a much-loved grandfatherly figure from Arabian folklore. The fun doesn’t stop there as The Dubai Mall has a line-up of popular cartoon screenings such as Tom & Jerry and Freej that are sure to excite kids all holiday long. Visitors to City Centre Mirdif can also celebrate the Eid holiday with a specially orchestrated Eid Al Adha stage show between 21 August and 25 August that’s sure to delight all families. Residents and visitors to Dubai can enjoy a multitude of attractions at IMG Worlds of Adventure from 21 August to 25 August, as the popular entertainment destination will host a fun-filled festival just for Eid Al Adha. Guests can enjoy a special street parade featuring dance performances and appearances from IMG’s most-popular characters. Kids will have the chance to meet their favourite characters from the Marvel film series and The Cartoon Network, as well as dinosaurs from the Lost Valley. The fun doesn’t stop there as the Boulevard will be home to captivating performances from stilt walkers, unicyclists and acrobats, as well as the popular Max Illusionist making IMG Worlds of Adventure the ultimate place to be over the Eid weekend. Al Seef is celebrating Eid in Dubai with an array of exciting activities for families from 6.00pm daily from 22 August until 24 August. Kids are sure to be entertained at Al Seef from 6.00pm with energetic dance session, fun workshops, life-sized board games and photo booths, as well as roaming entertainment for the whole family to enjoy. Those who head to Dubai Frame to celebrate Eid in Dubai from 22 to 25 August can enjoy traditional and interactive activities from 10am until 8pm including traditional Ayala dancers, roaming entertainment and giveaways for kids. 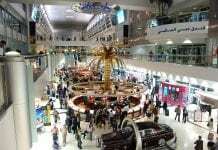 Shoppers who spend over AED 200 at Dubai Shopping Malls Group (DSMG) between 10 and 25 August will receive a coupon entitling them to ‘Spin the Wheel’ during the three days of Eid. The total value of prizes is over AED 500,000 and prizes include cash and luxury gifts. Residents and visitors to Dubai who download the SunSational Summer App, designed by Meraas, will enjoy over 400 great offers on food, retail outlets and entertainment at Al Seef, Boxpark, City Walk, La Mer, The Beach and The Outlet Village until 30 September. Lapita the popular Polynesian hotel within Dubai Parks and Reports will offer irresistible Eid packages designed for families, friends and couples who are looking to relax over the Eid celebration. These special Eid packages start from just AED 1,200 and are available until 5 September. Full details of this year’s jam-packed calendar of events over Eid Al Adha can be found at https://www.visitdubai.com/en/ or follow @visitdubai for the latest information.